If there is one guarantee in Metro East Illinois, it is that we can count on a white Christmas and a frozen New Year. While this may be great for enjoying eggnog in front of your fireplace, it is not so good for water containers. 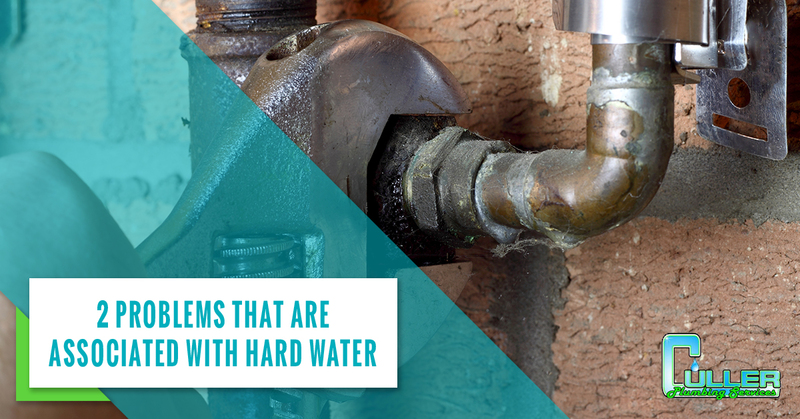 As we all learned in grade school, water expands when it freezes, and when that freezing water — ice — is expanding in your underground water pipes, that can spell big trouble for your plumbing system! 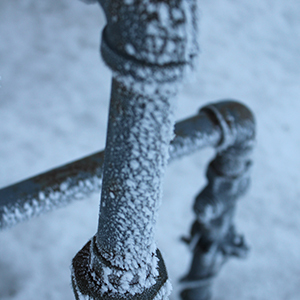 Join us in today’s post as we arm you with some winter plumbing knowledge about how to safely thaw frozen pipes and reduce damage to your home’s plumbing system and foundation. **It is important to note that improperly thawing underground water pipes can lead to significant property damage. In the event of frozen pipes, it is best to hire licensed and insured plumbing contractors with experience. Culler Plumbing does not assume liability if any of the following methods are attempted and result in damages. For more information, contact us today. Electrical thawing is a process that can be used to thaw the ice in metal underground pipes. By connecting a high-amperage generator-style welder near metal pipes. The process essentially heats the metal pipes, causing the ice to thaw and water to flow. Because water and electricity should never mix, it is important this technique only be attempted by trained professionals to mitigate the risk of shorting electrical power grids, electrocution, or fire. Another frozen pipe thawing method is hot water jetting. This process uses water jetting tools and methods, connected to a hot water source. Hot water is introduced to the frozen pipes to thaw the ice trapped inside. This requires a method of draining, to prevent backup flooding. Hot water jetting is a fairly quick and effective method but requires proper training and equipment. If the frozen water causes line damage that results in leaks that cannot be repaired by another means, excavation allows direct access to the line for active thawing and repair. If the ground around the frozen pipe requires excavation, this is a good time to upgrade pipes to a more freeze-proof material and insulate them if they aren’t already. Any of the above-mentioned techniques are effective in restoring water flow through frozen pipes. Which method is used should be determined by a professional plumbing contractor, based on the severity of the damage and risk of further damage. For a local plumbing company who is licensed, insured, and experienced, contact Culler Plumbing! We quickly and efficiently employ a variety of thawing methods to mitigate damage and get your home flowing again, at prices you can afford! Additionally, if you don’t have a fireplace to cozy up to this winter, contact us! While we may be plumbers, we also specialize in installing gas lines and fireplaces. Call us for your free estimate.